Now that my first book, Chaysing Dreams, has been out for about nine months, I’ve slowly been learning some tough lessons. So you write your so-called “masterpiece” and think that it’s going to be an instant best seller. You think people all over the world will somehow know that you just released this novel—the one you put your blood, sweat, and tears into—and immediately buy it because they can’t wait to read your book. Overall, I’ve been lucky. I’m slowly building fans, and I’ve got some pretty cool reviews. I’ve even had a fan send a fan-made trailer for Chaysing Dreams! Now that’s exciting! As an author, I can tell you that reviews are so important. Really, the reviews are what get your book noticed. So if you read a book, please do that author a favor and leave a review (even if it’s a brief one). Trust me, every review matters. Again, I’ve been lucky on this as well. Majority of the reviews have been five star reviews. I can’t even describe the ecstatic emotions when you receive these reviews. Finally, when acceptance sinks in, you are a bit more rational about the whole thing. Here’s the bottom line: Everybody is entitled to their own opinion. As hard as it may be to believe, NOT EVERYBODY IS GOING TO LIKE YOUR BOOK. I mean we’re all different individuals, with different tastes. I know it’s a shocker, but that’s the reality. I’ve decided that perhaps I can learn from these reviews. I’m still growing as a writer. I’m no way near where I need to be- so hopefully, I can utilize some of the criticism to my advantage. If I can’t use anything from it, I’ve learned to shrug it off. Life goes on. If you’re a reader, thank you so much for your support. It’s the readers that keep the authors motivated to keep writing, so please don’t forget those reviews. If you’re an author, do yourself a favor. Go ahead and pat yourself on the back for writing your “masterpiece.” Be proud because it takes a lot for not only writing it, but also putting it out there for the whole world to scrutinize. Remember, at the end of the day, your “masterpiece” is your baby, and nobody can take that away from you. 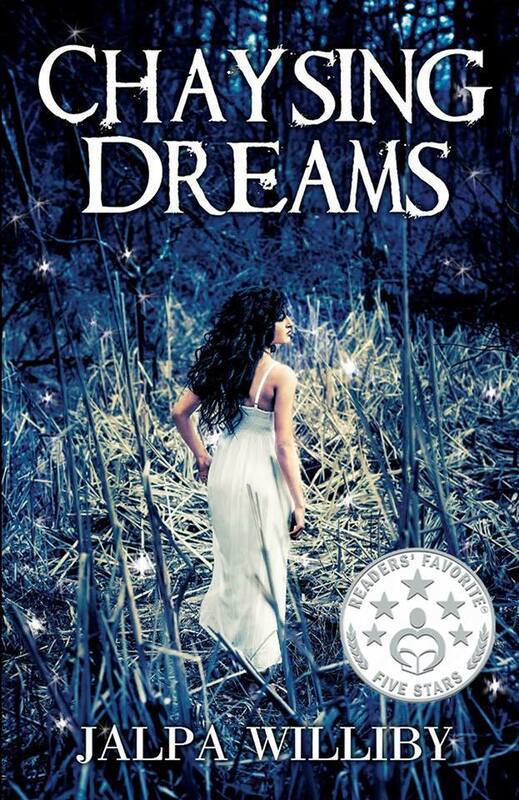 Posted on May 30, 2014, in Uncategorized and tagged books, Chaysing Dreams, Jalpa Williby, reviews. Bookmark the permalink. 7 Comments. Putting yourself out there with a first book that got so many great reviews…awesome! Bad reviews are good because they either tell you what needs to be improved, or they tell you they don’t care for the story in which case that’s just personal preference. Word of mouth is how most people seem to get noticed, and speaking for myself I can say that I have shared the book with others and I’m sure they will pass on the word and so on, and so on. And I’m sure your other friends/family are doing the same. I go on vacation in 2 weeks and I can’t wait because I’m going to relax and enjoy book 2! Your thoughts mimic mine Jalpa. The Morac, my first novel and series left me extremely nervous to publish, only from my own fears for my first novel. Now though I have to say, even if I don’t have the time to market it as well as it should be, the fun of writing it and the joy of seeing it published far out weigh the fears I had. Reviews are important though, and I do wish all who left them did so with that thought in mind. I have seen some reviews for other authors that reveal the storyline mysteries ruining it for others, and some that really make me question if they even read the book. Of course there are the wonderful ones, and they are what keep me smiling and anxious to finish the next book. Thanks for your insight, and I have linked to your blog.